Awesome surfing, the coolest street art, yoga studios, hipster cafes and beach bars – it’s time to find out the best things to do in Canggu, Bali in 2019. Canggu is one of the hottest destinations in Bali right now! Buzzing with liveliness, creative types, surfers, digital nomads and yogis, this former fisherman’s village is a must-visit. Along with places like Ubud and Seminyak, people are flocking to Canggu for its picturesque views, endless activities and fun vibes. While it has developed over time, the town hasn’t lost its charm or laid-back feel. If you’re visiting on holiday, you can enjoy a real mix of activities, from surfing and yoga, to enjoying seriously tasty (and healthy) food or partying the night away. What to do in Canggu? Time to reveal all in my Canggu travel guide! 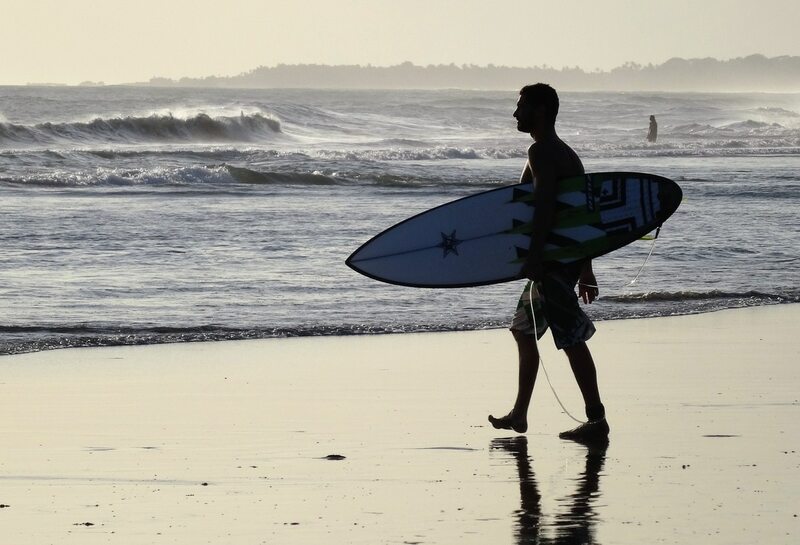 Surfing is the top activity to do in Canggu. The town has been a ‘surfers paradise’ for decades, with its waves suiting everyone from beginners to the pros. If you’ve never surfed before, check out the deals at the local surf schools, or book something in advance here. Ah, what a way to relax and unwind! I had some amazing massages during my time in Bali, and wow were they incredible value too. For under £10 you can enjoy an hour of pure bliss. Canggu has plenty of spas to choose from. When I was choosing where to visit, I tended to go in, ask for prices and see what the setup was. Some are a lot nicer inside than others, and you want somewhere you can truly relax! 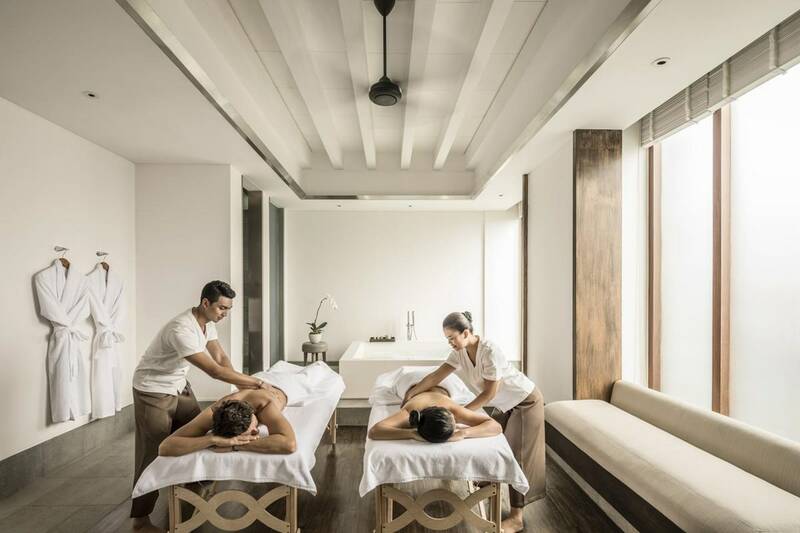 For a really upmarket Canggu spa experience, check out trendy chain Spring Spa or the wellness retreat at COMO Uma Canggu. 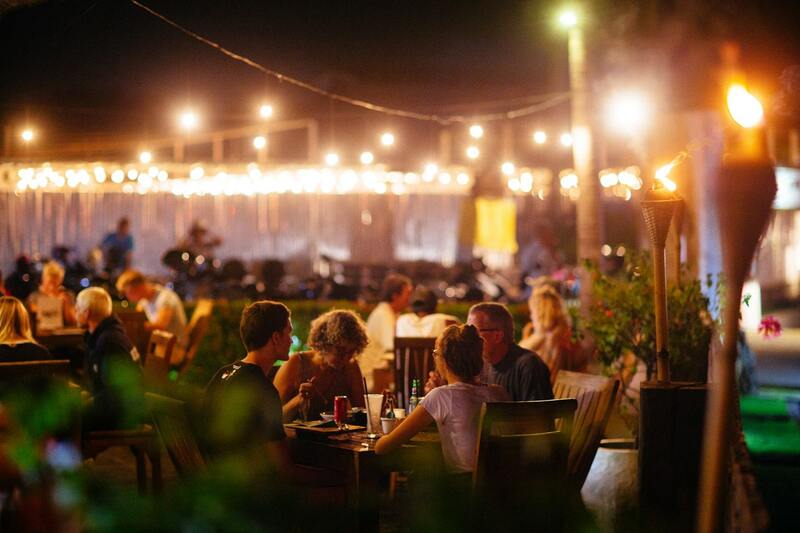 Wondering where to eat in Canggu? Well, no matter what kind of food you are into, you’ll find it in Canggu! Authentic Indonesian (local and high-end), seafood, Mexican, Italian, Spanish, Peruvian, vegan, raw food… the list goes on and on! For breakfast or lunch, you should definitely check out Shady Shack, which serves excellent coffee, healthy juices, homemade cakes, smoothie bowls, avocado on toast and more. For authentic Indonesian food, head over to Warung Bu Mi on Jalan Batu Bolong. Or, if you want to sit down and enjoy an exquisite dinner in a chic restaurant with ocean views, enjoy one of the restaurants at Hotel Tugu. If you time your trip for a Thursday, you can check out one of their cultural performances too. Canggu is full of cool cafes and bars, so if you’re wondering what to do in Canggu at night, here are a few recommendations. One of the most famous places to go for drinks is Old Man’s, which often hosts live bands, DJs and late-night parties. Another quirky spot to check out is Deus Ex Machina. It’s an iconic bar/vintage motorbike shop/art gallery/surfboard factory – you know, very ‘Bali’! Or for something a little more grungy, head to Gimme Shelter, an underground rock and roll bar where punk is still very much alive. The sunsets in Bali are famous for a reason, and Canggu Beach is the perfect spot to watch the sun go down while enjoying a sunset cocktail or a Bintang. For amazing sunset views, yummy drinks and an all-round great vibe, head to The Lawn on Batu Bolong Beach, Finn’s Beach Club at Berawa Beach or try a local spot on Echo Beach. Nothing beats sipping on a refreshing drink while watching the surfers riding the golden sunset waves. Pure magic! Located 300m off the shore on a rock in the ocean, Pura Tanah Lot (Land in The Sea) is one of the most famous temples in Bali. It’s a sacred place, and many believe the temple protects the island from evil sea spirits. 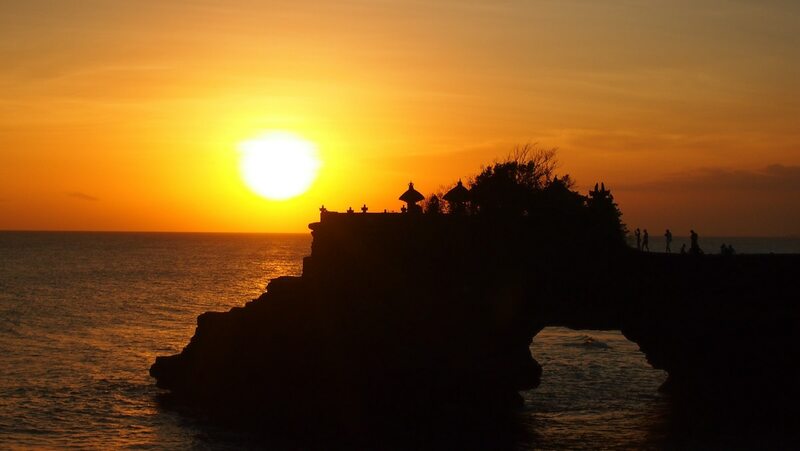 In terms of the best times to visit Tanah Lot… while sunsets are famous (when the temple is a beautiful silhouette) it’s worth visiting early in the morning if you want to beat the crowds. Also, if you time the tides right, you can walk to and from the temple on the sand before the water comes up too high. The Tanah Lot entry fee is 70,000 IDR, and from Canggu, it’ll take you around 20-30 minutes to get there (12 kilometres). In search of something unique to do in Canggu? Check out the town’s street art, starting at ALLCAPS Open Air Gallery. I love street art, especially the personality it gives an area. The giant murals in Canggu are amazing to see, and if you’re on a budget, then this is one of the cheapest things to do in Canggu… no wait, it’s totally free! 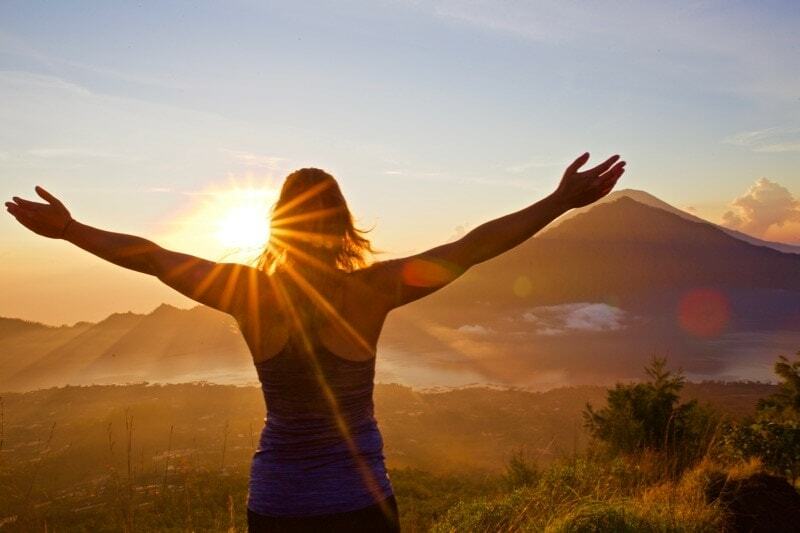 If you fancy a challenge, I’d recommend the Mount Batur sunrise trek. You’ll be picked up from Canggu in the early hours to drive to the base of the volcano. The hike up the active volcano will take a few hours, meaning you reach the summit around sunrise. 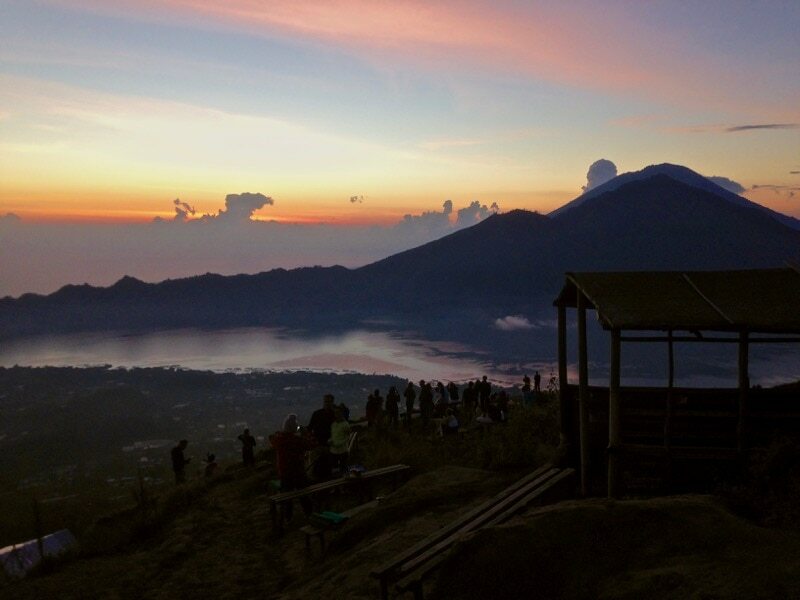 The views are as incredible as you’d imagine, with morning mist, golden sunbeams and a shimmery Lake Batur below. The Mount Batur tour I booked was excellent, and includes breakfast and a trip to some hot springs afterwards, to soothe any aching muscles! Wondering what to do in Canggu on Sundays? Head over to La Laguna in the afternoon! La Laguna is a beautiful bohemian-inspired beach club in the Berawa area of Canggu, and the latest attraction is their ‘Gypsy Sunday Market’. There’s live music, kids activities, organic food, drinks and stalls selling everything from handmade jewellery and clothes to handicrafts. What a way to explore Canggu’s landscapes! For something different, how about spending a few hours horse riding in Canggu? This tour is perfect for both beginners and experienced riders, and will take you through lush rice fields and along beautiful Pererenan Beach. Check latest prices and availability. Bali and yoga go hand in hand, and there are some great classes running in Canggu. Samadi Bali is one of the most popular spots, but there’s also The Canggu Studio, Serenity Eco Guesthouse (where you can stay too) and Pranava yoga. Prices and styles of yoga vary at all of these, so take a look at their websites in advance, or pop in if you’re in the area. 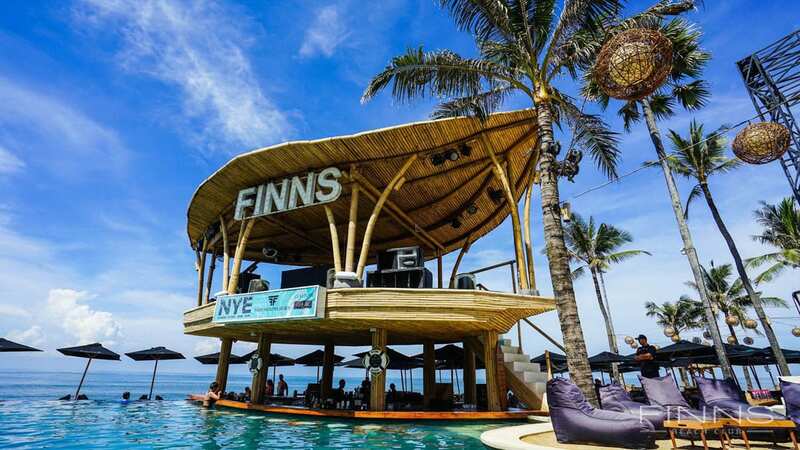 Can you say you’ve been to Canggu if you haven’t been to Finn’s Beach Club on Berawa Beach?! One of the most famous beach clubs on the island, Finn’s is the place to spend a day enjoying the beach views, swimming in the 30 metre infinity pool (which has a swim up bar and underwater speakers!) and enjoying all the food and drink you can manage! There’s plenty more too – including a water park, trampoline centre, bowling and a kids club. Around 45 mins drive from Canggu, is Waterbom Bali. Located in Kuta, the waterpark is home to a mix of crazy, adrenaline slides and relaxed options like the lazy river. Waterbom Bali is also home to Asia’s steepest slide – The Climax. I’ve not done it, but it kicks off with a countdown timer before the trapdoor below you opens and you drop almost vertically before you’re thrust into a loop and then shot out in front of the crowds watching! Would you dare?! 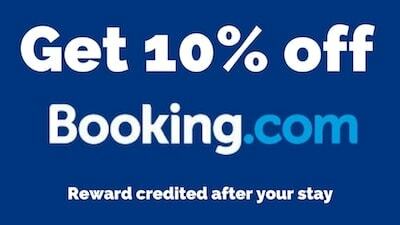 To save time and money, I’d recommend booking your tickets in advance. 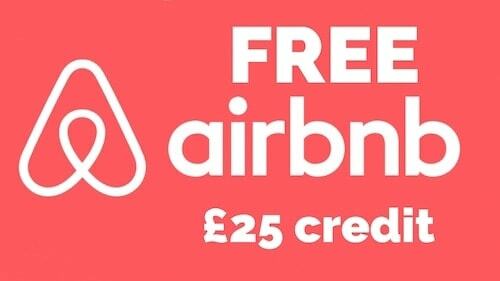 Check prices and availability here. The great thing about staying in Canggu, is that it’s great base for exploring other parts of Bali too. 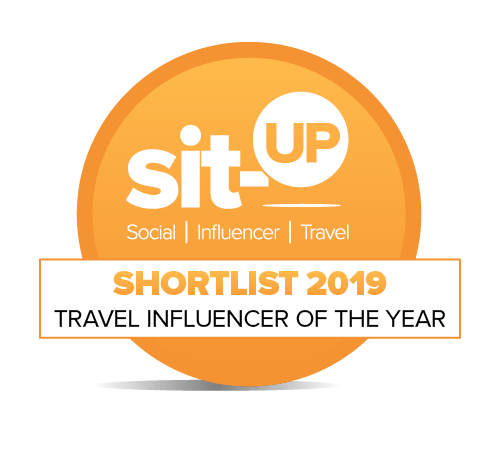 If I had to choose, I’d say Ubud is my favourite place on the island. With its famous rice terraces, beautiful waterfalls, traditional markets and sacred monkey forest – it’s a town with SO much character! Canggu is around an hour’s drive from Ubud, so it’s a nice easy day trip. One of the most luxurious hotels in Bali, COMO Uma Canggu is a relatively new addition to the town. The 5* resort has a bit of a surf theme, and while it’s located close to Echo Beach and Batu Bolong Beach, it has the exclusivity and privacy you’d expect from a high-end resort. There’s a smart beach club, a swimming pool and Como Shambhala, one of the best spas in Bali. 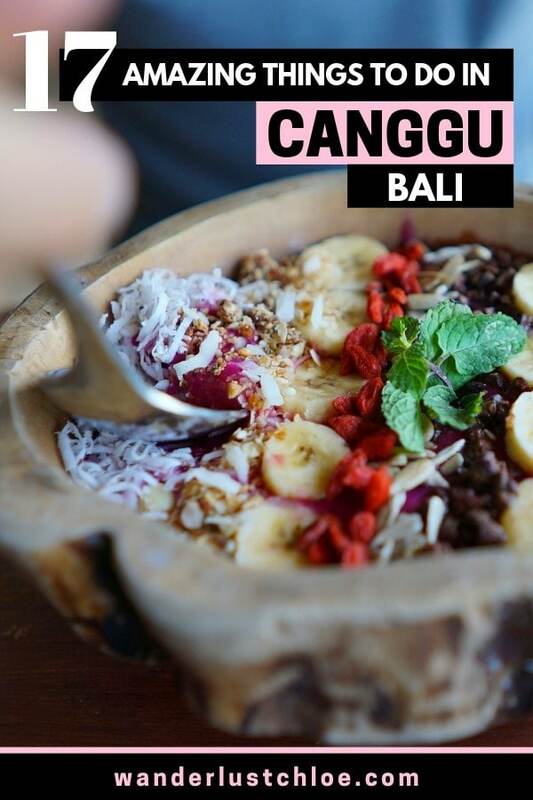 We all know Bali has a reputation for being Insta-heaven, so it’s time to find the ultimate smoothie bowls in Canggu! This quintessential healthy breakfast usually comprises a selection of exotic fruits, granola and maybe some nuts or other grains too. They look as good as they taste. 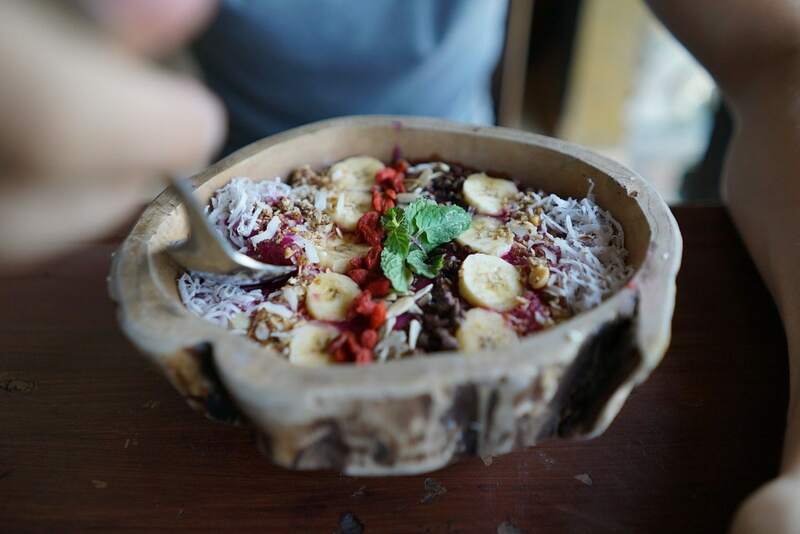 For the best smoothie bowls in Canggu, check out Nalu Bowls, Cafe Vida and Cafe Organic. You’ll find so many places serving them now though, so you could try one somewhere different every single day! 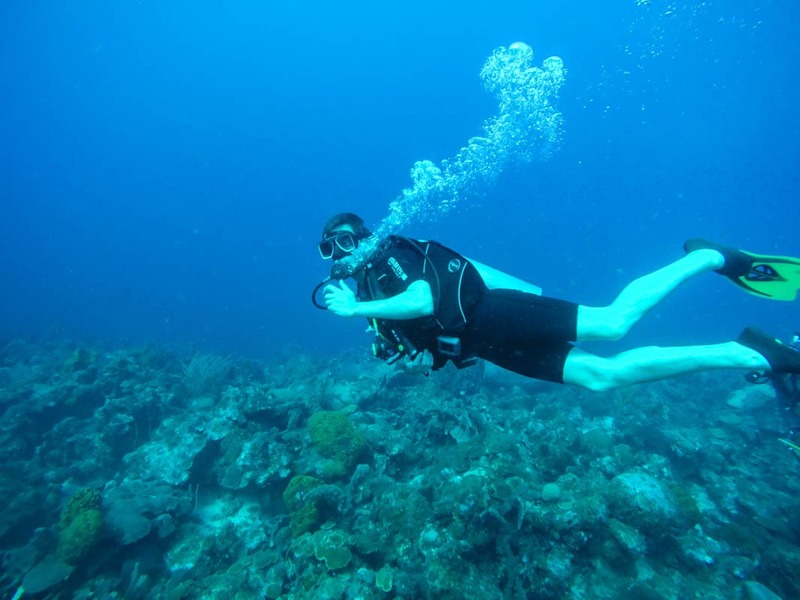 There are several great dive sites scattered around Bali’s coasts, and with such diverse marine life, it’s a great activity to squeeze into your holiday. Some of the closest diving spots to Canggu are off the coast of Sanur, where you’ll find Channel Point, Penjor Reef and Jeladi Wilis. If you fancy something different, head to Tulamben on the northeast coast of Bali, and dive the shipwreck of the USAT Liberty. Canggu is located in the south of Bali, hugged by rice paddies and bordered by the Indian Ocean. Bali international airport is approximately 20km, around 45 minutes by car. The easiest way to get around Bali is by scooter or motorbike. You can plan your own routes, take a few sneaky shortcuts and avoid traffic jams. If the idea of getting on a moped makes you nervous, you could look to hire a private driver to take you from A to B. Lots of taxi services are seen as illegal in Bali (I used Uber there, but it wasn’t a flawless experience), and if you want to truly explore the island, having a personal chauffeur for the day may work out cheaper than a handful of short rides in local taxis. Canggu has plenty of great accommodation options, no matter what your budget! The Slow – Along with being a great restaurant, The Slow is also one of the top boutique hotels in Canggu. The decor is trendy, with eco vibes. Plus the location is perfect, just 500 metres from Batu Bolong Beach, with plenty of boutiques and cafes close by. Check availability and latest prices. 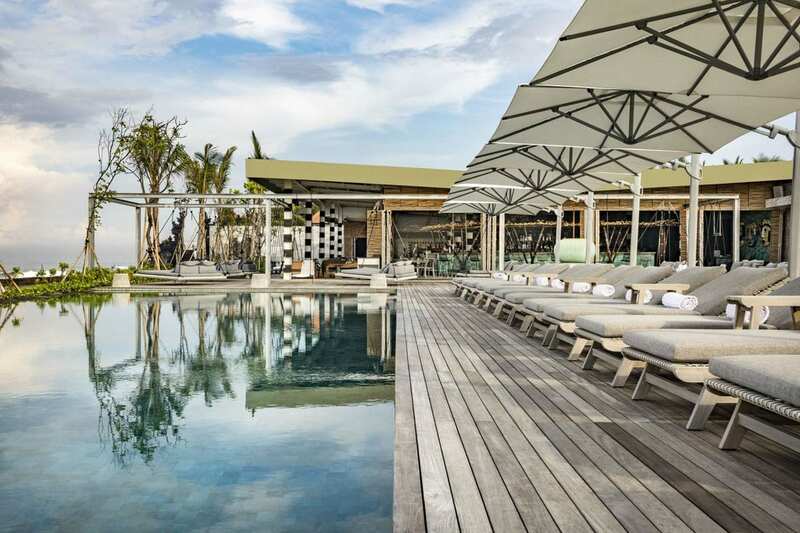 The Haven Suites – The Haven is a 5-star hotel in the Berawa area of Canggu. With luxury suites, dreamy pools and beach access, it’s a great pick if you’re splashing the cash. Check availability and latest prices. 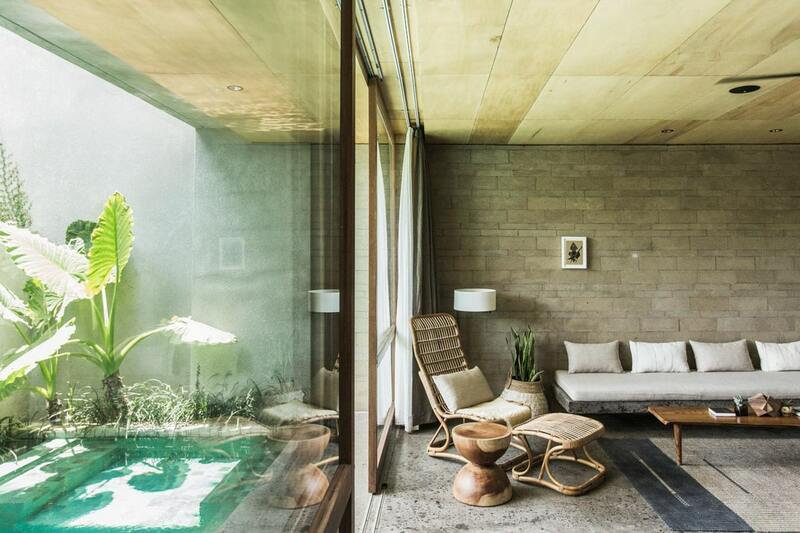 The Green Room Canggu – On a budget but still want a pool and somewhere stylish to hang out? The Green Room is perfect, with a mix of dorms and deluxe suites. There’s a great pool to relax around, a pool table and it’s just a short walk from everything you could need in Canggu. Check availability and latest prices. Canggu has warm, humid weather all year around,. The average temperature in Canggu is around 27 degrees. In Bali, there are only 2 seasons; dry season (April to September) and wet season (October to March). The busiest times for travellers visiting Bali are July, August and December. 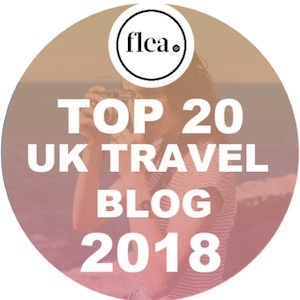 If you can choose your dates, I’d recommend visiting in April, May, June or September when prices are more reasonable and there are fewer tourists around. If you’re thinking of sticking around in Indonesia, here are a few other places I’d recommend checking out. 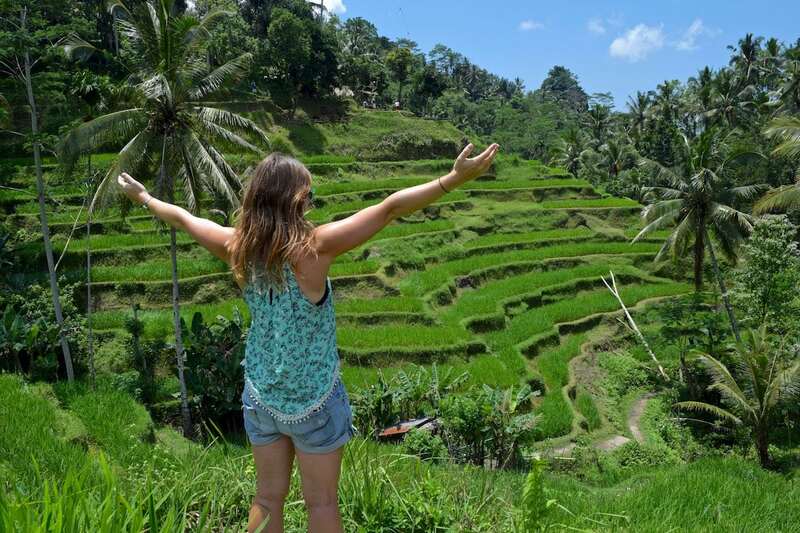 Ubud – Awesome town in Bali with rice terraces, temples, waterfalls and great food. My Ubud travel guide has a heap of useful info to plan your trip. Also check out the best Ubud hotels and my pick of the best tours in Ubud. Gili Islands – My Gili T travel guide has all you need to know about these islands! Lombok– Cool vibes and great surfing. Close to Bali, so a great addition to your holiday. Raja Ampat – Tricky to get to, but the closest place to paradise I’ve found on my travels. It’s simply breathtaking. Find out all your need to know in my Raja Ampat travel guide. Jakarta – If you’re flying in and out of Indonesia’s capital, here are 6 things you can’t miss.